Home > News & Blogs > Accident Claims > Brain injury survivors denied help - This is simply wrong! Brain injury survivors denied help - This is simply wrong! 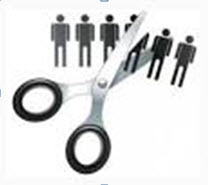 Why is it, that one of the most vulnerable groups of people in our society are being denied access to vital support services as a result of massive cuts to welfare benefits and rehabilitation services? As a solicitor specialising in personal injury claims, my work involves working closely with seriously injured people and their families. Brain injury survivors need vital help and support to be able to rebuild their lives following a brain injury. However, the impact of government reforms of the welfare benefits system, and the financial cuts to local authority budgets, which allows people access to rehabilitation services, is having a serious impact on the lives of people affected by brain injury. As a result these vulnerable people are being cut out of society. A person suffering a brain injury may require emergency treatment to identify serious and potentially life threatening injuries. Intensive, specialist care by professional medical experts is essential. While some people may be able to return to their daily routines with assistance and support following a brain injury, others will continue to require more intense support services and care. I see firsthand the benefits that my clients receive in terms of their recovery, from early intervention and rehabilitation which ensures they achieve the best possible outcome. Support and assistance for these individuals and their families is crucial when dealing with the overwhelming long term effects of a life changing injury. Brain injury survivors require specialist support and rehabilitation to rebuild their lives, to learn lost skills and regain their independence. However, the government’s reforms to welfare benefits and cuts to local authority budgets are having a serious detrimental effect on the wellbeing of brain injury survivors. The impact of welfare benefits reforms means that individuals are receiving reduced benefits payments, or losing them altogether, such as Disability Living Allowance, Employment and Support Allowance, Housing Benefit, Carers Allowance and Personal Independence Payment. I know from working with brain survivors, that there is evidently a failing in the assessment process of welfare benefits, and a clear lack of understanding of brain injury. As a result, this reduction in benefits affects an individual’s ability to be able to live independently, and consequently increases the need to rely on others. In addition, local authority and NHS funding cuts means that individuals are being denied access to vital support from neurological rehabilitation specialists, as well as Headway groups and branches. As a result, this impacts on an individual’s wellbeing and consequently creates an increased reliance on local authorities and the NHS. The impact of these welfare benefits reforms and cuts in services not only has a detrimental effect on the wellbeing of brain injury survivors, but also the lack of specialist support places increasing pressure on survivors’ families, both physically and emotionally, to provide the care and support to their loved ones due to reduced access to specialist support. Families may feel they are struggling to cope with the extent of care that is needed, or unable to manage the increased financial strain. It is not, however, only the individuals and their families who suffer. 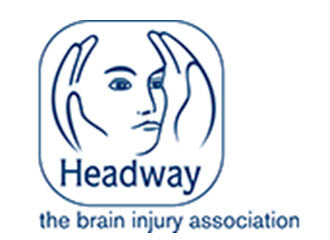 Headway, is a leading charity in brain injury, and works incredibly hard to promote the understanding of this injury, and provides vital information, support and services to people with a brain injury, their families and carers. The effects of brain injury are long term, and the services provided by charities, such as Headway, are trying to support individuals from the moment their life changing injury occurs, and for the rest of their lives. Due to reduced financial support from local authorities, however, charities supporting individuals with a brain injury are under increasing pressure. A report published by Headway called: A ticking time bomb: The false economy of cuts to brain injury support services, provides evidence that cuts to local authority budgets and welfare benefits reforms are having a detrimental effect on the wellbeing of brain injury survivors, their families and their carers. The report indicates that these financial cuts to welfare benefits and reduced services, though may appear cost effective in the short-term, are certainly not cost effective in the long-term, as people with brain injury will be forced to become dependent on other expensive and more long-term state support in the future. It is of course fair to say that local authorities have many difficult decisions to make due to reduced funding, however, surely this must be balanced with the fact that it is vital for brain injury survivors to receive the specialist care and support necessary to enable them to rebuild their lives and regain their independence. A brain injury can happen to anyone. It impacts on every aspect of a person’s day to day life. I see from my clients the serious long-term effects that this type of injury has on them and their families. As a personal injury solicitor, I know how vital it is to ensure that the compensation my clients receive reflects the amount of treatment, care, support, equipment and accommodation they require now and to safeguard their future as much as possible. As a Trustee of Headway East London, I also see firsthand how important it is for brain injury survivors to have access to immediate as well as ongoing care and support. Sadly, it seems that vital help is being denied to more and more people that need it most. It is incredibly frustrating to know that vulnerable people with brain injury are being cut out of society with future generations being left to deal emotionally and financially with the consequences. Such a serious problem affecting so many individuals in our society can only be addressed by a major change in government policy and a commitment at local level to helping and supporting brain injury survivors to lead healthy, social and fulfilling lives. Charities such as Headway need our help to raise awareness and support their campaigns, to ensure that they are able to continue to promote the understanding and complexities of brain injury, and to provide the crucial information and support services to brain injury survivors, their families and carers.